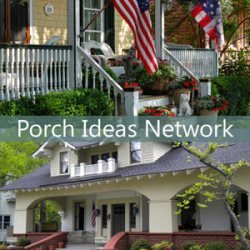 If you are wanting spring decoration ideas for your porch, then you will enjoy these spring crafts for your porch and home. 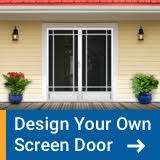 We have several fun ideas to share with you. We are so happy to know Eileen, author of The Seasonal Home. 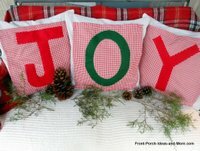 She decorates her home inside and out with the cutest seasonal ideas - and budget friendly ones, too. We'll be trying Eileen's alphabet wreath for sure. 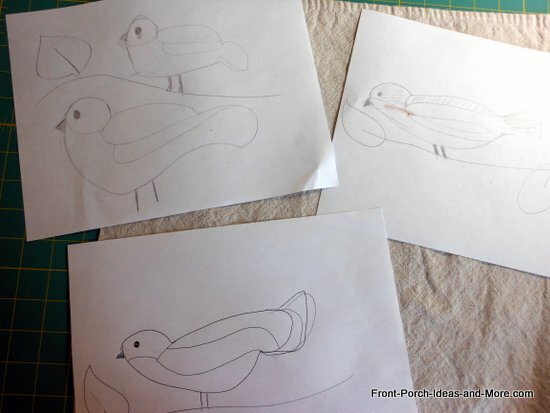 Ideas for all the seasons and holidays are swirling around our heads. 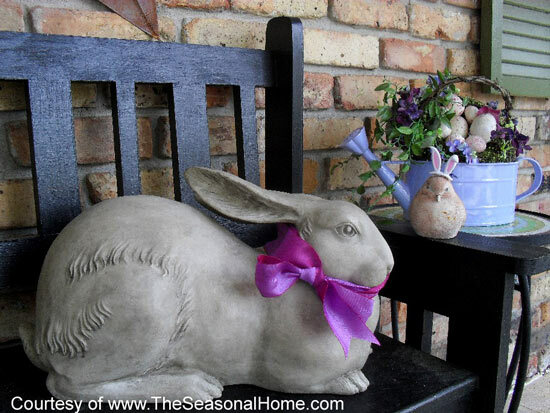 Dave and I are crazy about cute bunnies, so when we saw Eileen's sweet bunny with the purple bow, we had to share with you. 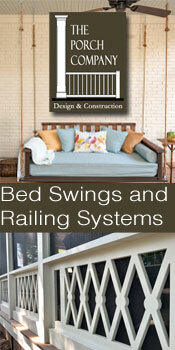 Now, let's see more of her spring decorating ideas. 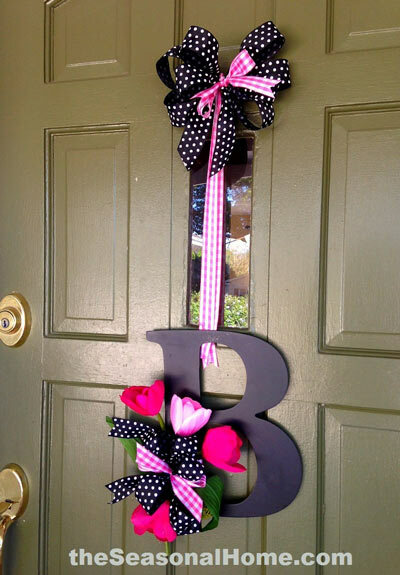 Instead of a typical wreath, Eileen used a large monogram for her last name to make this delightful spring front door decoration. The letter already came painted black but you could, of course, paint it any color you like. She stapled a ribbon to the back of it for hanging on her door. Then came the fun part. She used her hot glue gun to add a bouquet of bright pink tulips and tied them with gingham and polka dot ribbon bows. 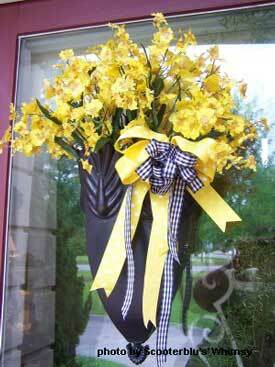 We may need to take a lesson from Eileen on how to create such pretty bows as they are what make this "wreath" so eye-catching. 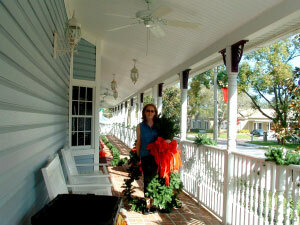 Eileen uses Styrofoam planters to create displays on her porch. 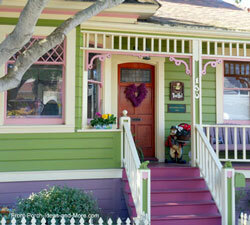 Notice how she painted the planters shown here for spring - in a couple shades of pink. She fills up the space inside with circles of Styrofoam. 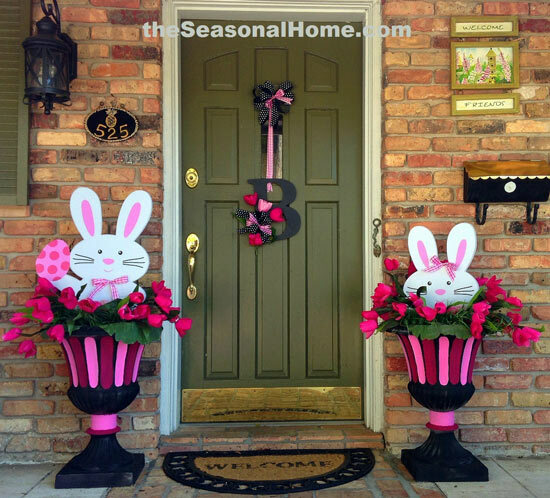 Then she added her bunnies, green grass, tulips and eggs to create this very cute display at her front door. 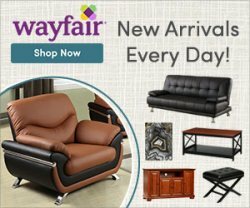 Many of the materials can be found at your dollar store. 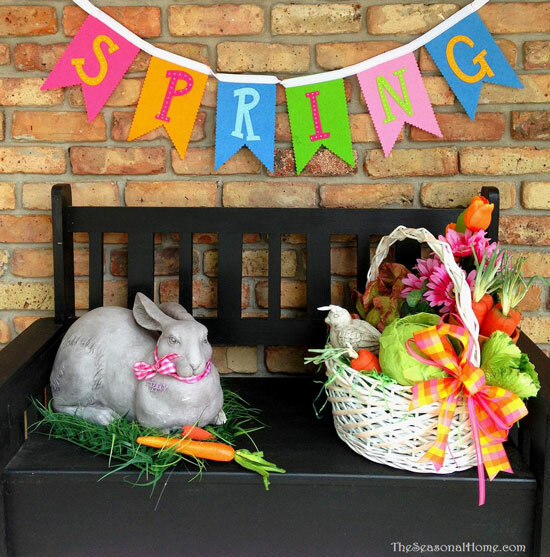 What a colorful spring decorating idea - perfect for Easter. Use what you have on hand and just be creative. There are not rules and we are sure Eileen would agree. 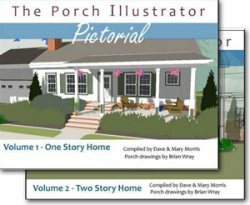 Another year, Eileen's porch started with a white wicker rocking chair and a wrought iron initial on her porch wall. 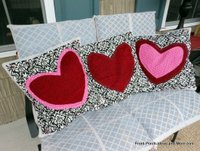 She covered older pillows with inexpensive striped fabric from Walmart and then glued a cute little pink posey right smack dab in the middle of the pillow. She also found a delicate blooming plant for her table. And lastly she added square greenery around her initial plaque and added a whimsical bow in a soft pink color to complement the pillow. Pretty charming! 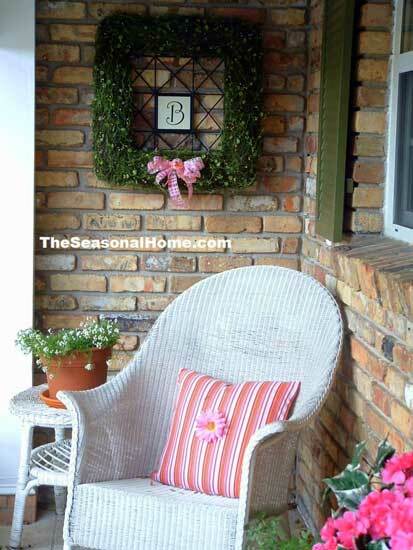 If you cannot find a square green wreath, you can either purchase one or make your own. Eileen says it could be crafted by adding greenery picks to a square foam wreath. Another alternative is to glue moss to a square cardboard frame (like a pizza box). 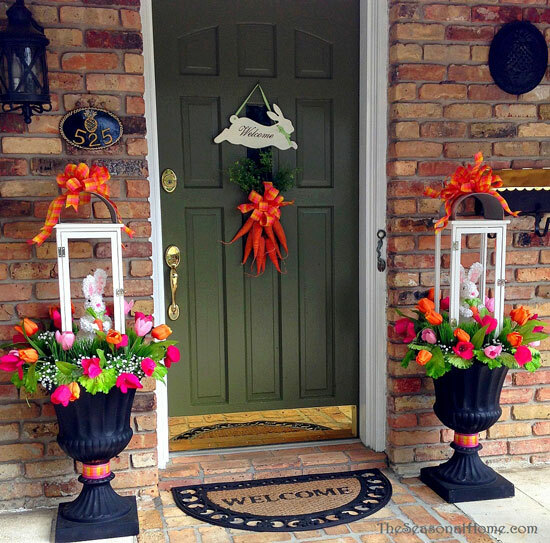 We like Eileen's entryway - very welcoming for spring. Eileen created this adorable birdhouse wreath with a decorated grapevine base and a cute little birdhouse. First decorate your grapevine wreath with moss, berries, ivy, flowers - just about anything that tickles your fancy. 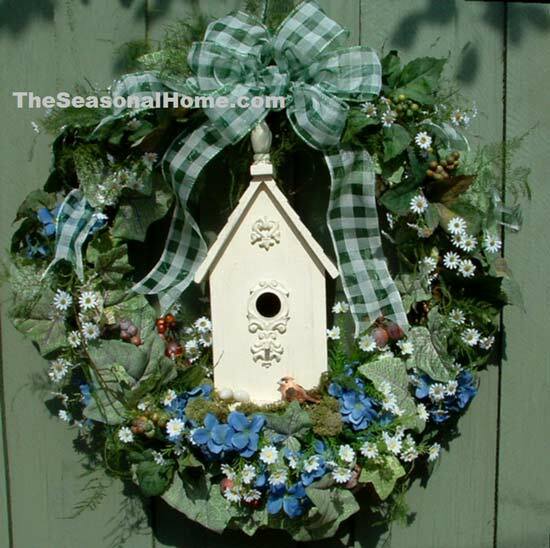 Then attach the birdhouse to the wreath securely with wire. Secure it well on the top, bottom and sides. Add a pretty bow. Eileen used a gingham check ribbon which looks very nice. To finish her spring wreath, she added some tiny birds and eggs. Do you see them? We like that extra touch. 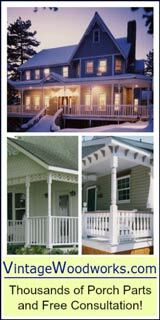 Isn't this a fun and festive Easter porch? I like how Eileen incorporated veggies amidst the more traditional tulips - carrots, lettuce leaves, grass. So very cute. And look at the bunnies in the lanterns on top of the planters! 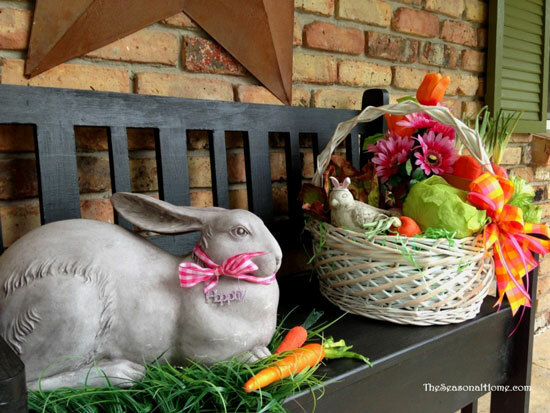 Take a look at the sweet Easter bunny and basket on the bench. There's that veggie theme again. 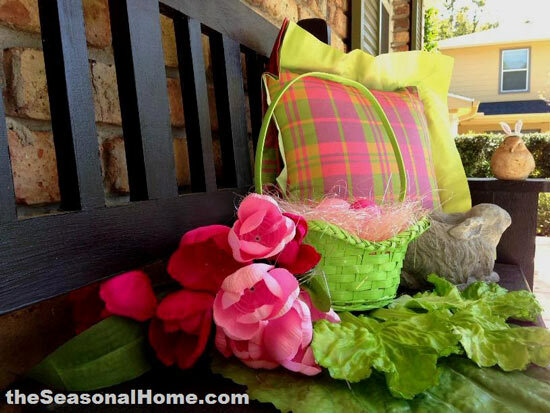 We are enjoying the orange plaid ribbon amidst the pastel colors' we like Eileen's Easter porch. 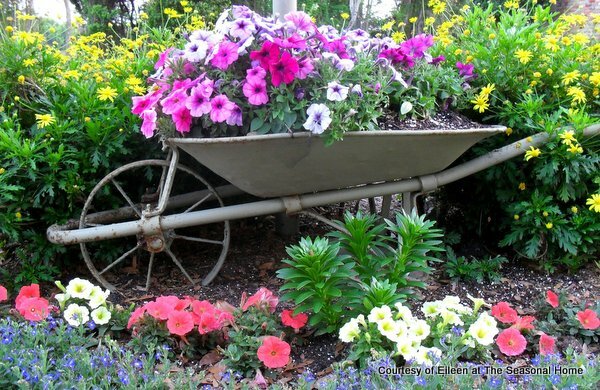 Eileen's neighbors plants flowers in an antique wheelbarrow they were given by a friend. What a pleasant design! 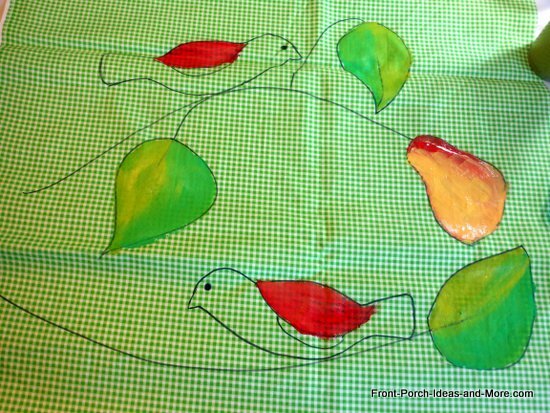 Eileen is the author of The Seasonal Home, where she shares and teaches her joy of crafting and decorating on a budget. She is not onlyl a wife and mother to four but she also owns a commercial holiday design company and is also a public speaker. 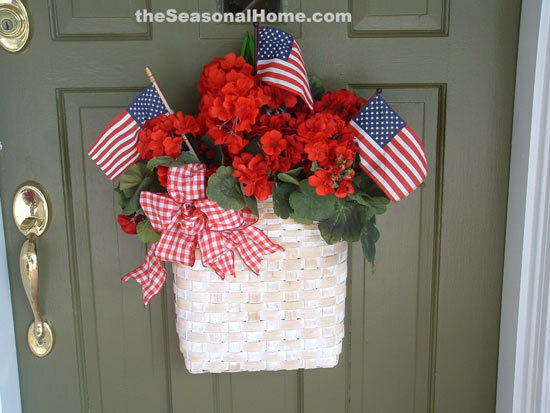 We sure appreciate Eileen sharing her spring decoration ideas with us - and hope to bring you many more seasonal ideas! We made these songbird pillow toppers for our porch and they turned out very well. 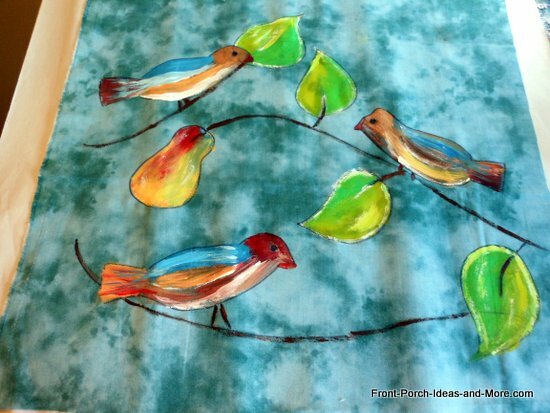 The ideas for these pretty songbirds came from some pillows I saw on Plow and Hearth; that was my inspiration. 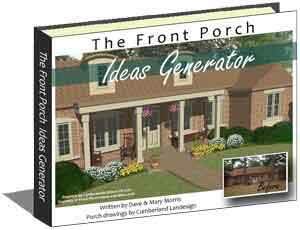 Want to learn how to make them for your porch? 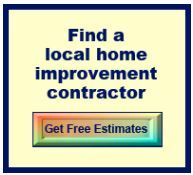 They are easier than you might think. The toppers are hand-painted but I promise they are easy to do. 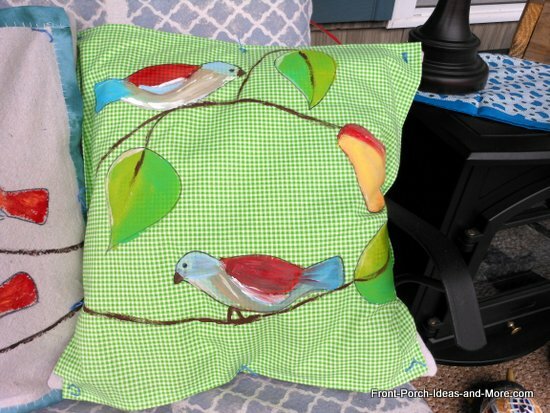 This is the 4th set of pillow toppers we've made for our porch and each time I am liking the idea more and more. I started out with approximately a 16" square of fabric for each pillow. I am making three of them. 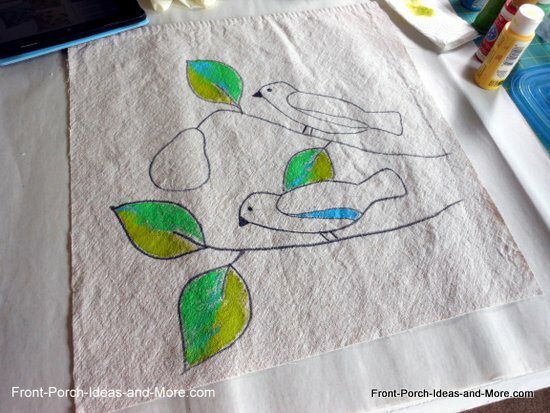 I chose 3 types of fabric: painter's drop cloth, a small checked green cotton fabric and a mottled background blue cotton fabric. I sketched the scene onto paper first. 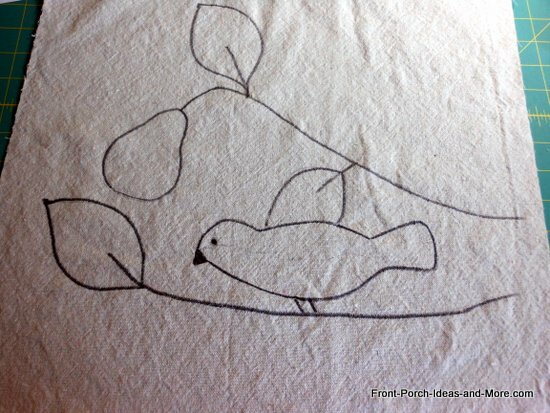 Then once I was happy with it, I drew the same sketch onto the fabric and went over it with a black marker. 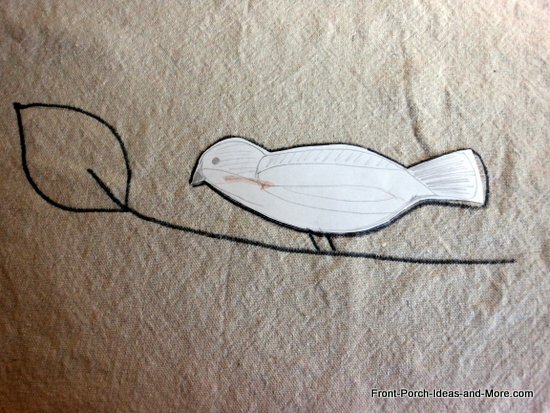 The leaves and branches were easy for me to draw, but not so much the songbirds. 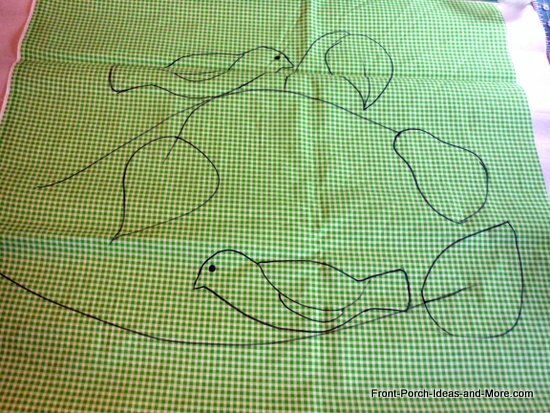 The bird I got right on paper first, then cut it out and traced around it on my fabric. 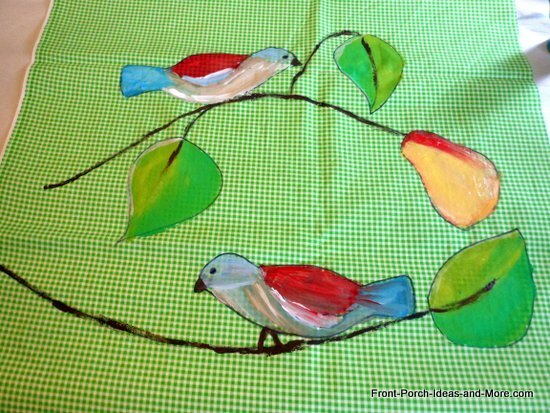 Then I painted inside the lines with acrylic craft paints that I already had on hand. And here's the way it all turned out. 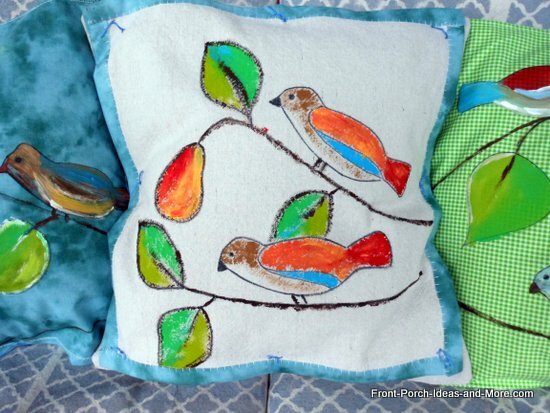 Notice that I added a blue border to the pillow topper. It wasn't necessary - I just wanted to see some extra color. 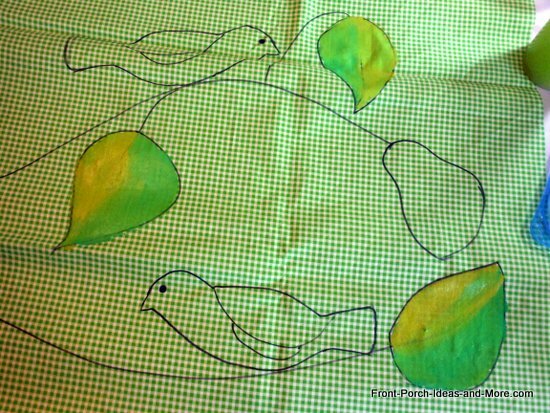 I sketched a slightly different scene onto the green checked fabric with a black marker. I didn't use pencil this time. Then you can see that I began painting - doing the easiest parts first, the leaves. I put bright lime green on one side and a softer green on the other, then blended the two paints a bit. 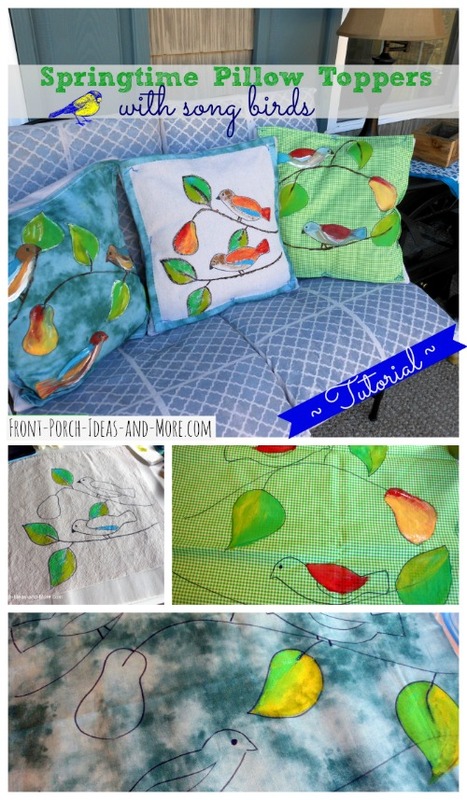 To finish the pillow topper, I turned the edges under and stitched around all 4 sides. 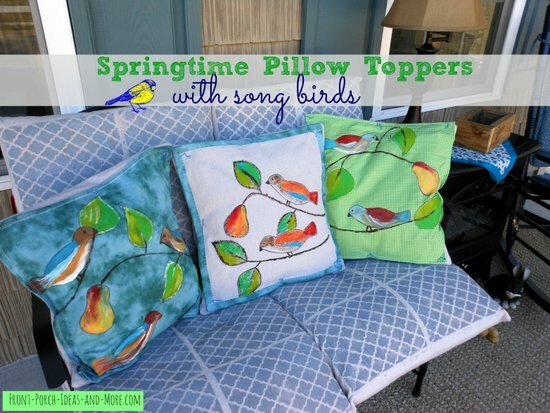 The green pillow topper came together nicely and it's beautiful spring colors. 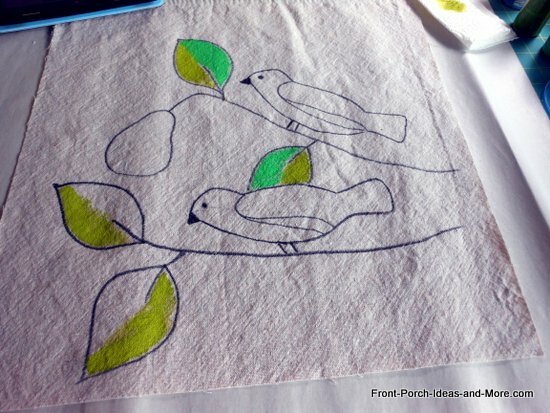 The colors in my birds are what I had in my box of paints. I was happy with how it turned out. I simply turned under the edges on my sewing machine - but you could also glue them under as well (just not sure if the glue would survive the laundry). Then, if you look closely, I tacked the topper with embroidery floss to the pillow - a stitch in each corner and one in between for extra measure. You could also safety pin it, especially if you are not into sewing. I show you that it's actually very easy to paint these toppers. I am not an artist (yet), so if you are, you could do some awesome painting. I sketched the scene onto the blue fabric with a black marker. 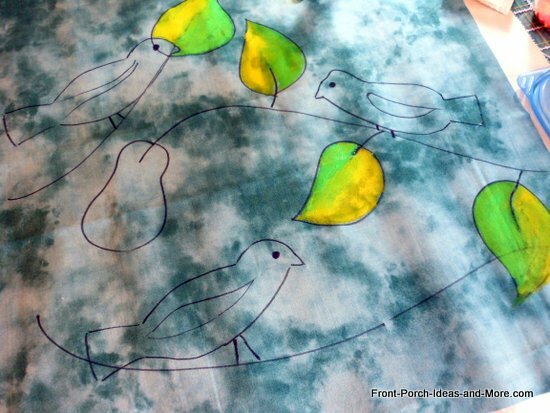 Then you can see that I painted the leaves, pears and finally the birds (saving the hardest part for last). I really like the mottled background of this fabric that I was using. It kind of resembles clouds on a hazy day. 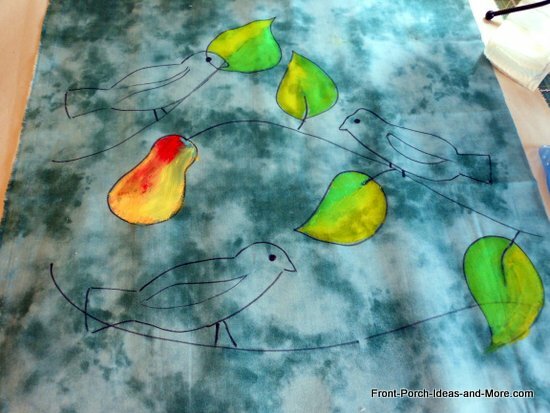 The paints showed up well even though the fabric was darker. To finish the blue topper, I just turned under the edges and stitched around all 4 sides. Glue would also work (but might wash out if you launder them). I like this one, too. 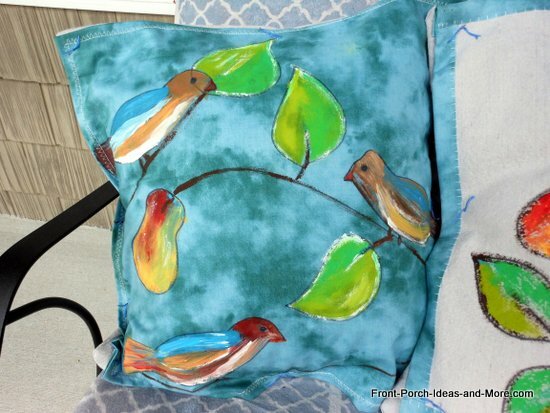 Which pillow topper is your favorite? The reason Dave and I love the "topper" idea is because you don't need a new pillow every time you want to decorate for a different holiday or season. 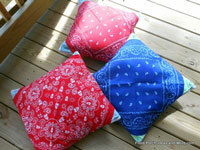 And because pillows fade so much in the sun, the only thing that will fade is the topper - which you can easily replace. 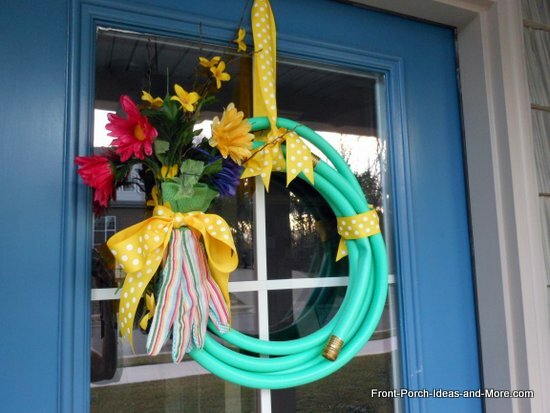 Many of you have probably seen the garden hose wreath idea. 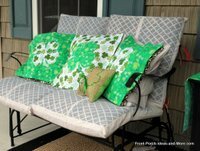 When I first saw it on Jill's blog, I knew I wanted to make one and got my garden hose a year ago already. I liked her style so ours is very similar. It's rather cute on our blue front door. 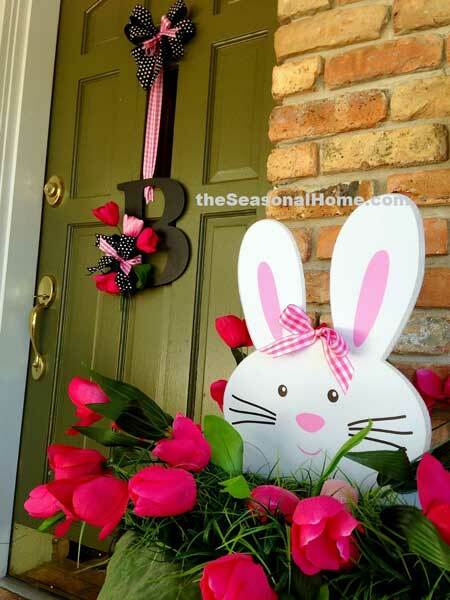 See the tutorial for this cute garden hose wreath.